If the question usually comes into your mind that will I become a doctor by astrology this post is for you. To have ability to become a doctor there is need of technique & patience. 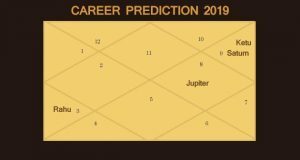 If Doctor as profession is your dream the reason should be in your horoscope because those who have dedication, reach their destination but if you have doubts in your mind about your capabilities or you want to know whether or not you will be a doctor this article is for you. First of all we must know that there are many types of Doctors. Surgeon comes first and then there are eyes specialists, psychologist, even for each function of body there is a specialist. This is necessary to know your interest and what kind of doctor you want to become. Starting from a basic physician and physiotherapist to orthopedic specialist all are considered as a doctor. 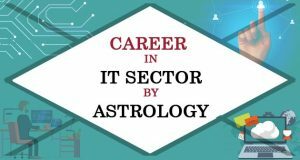 For each type of doctor there is a special kind of planetary position which should be present in your Horoscope (Janam Kundli) to become doctor in that particular field. A successful surgeon who is involved in operation and dissection of body parts should have Mars and Saturn in the fifth house of his birth chart. The fifth house in birth chart is related to study and degree a person holds. Moreover, Moon which controls human mind should be very powerful as it provides patience and technical excellence to perform all the complex operations successfully. If fifth and tenth houses in birth ascendant are not related to Mars and Saturn then the position of Mars, Saturn and Moon in Dreshkon Chakra (द्रेष्काणचक्र) will surely confirm whether a person can become a successful surgeon or not. For being a successful neurologist or neurologist a person must have strong Mars and Saturn in his birth chart. Additionally, he must also have Moon in self-house in Shodashvarga (षोडशवर्ग). If Moon is weak then a person can’t achieve enough success as a neurologist. A mind cannot be reflective and strong enough without moon. Hence, the presence of strong moon is extremely important in a person’s birth chart to become a neurologist. In birth chart of an eye specialist the planets Sun and Moon which are symbol of eyes have relationship with the owner of tenth house and this relation can be visible directly or indirectly in birth ascendant. And if this position is not available in a birth chart then in Dreshkarn Chakra(द्रेष्काणचक्र), Sun & Moon surely make a relationship with Mars & Saturn to make a person eye doctor. So, if you are going to become an eye doctor then the planetary position required in your birth chart is that where Sun & Moon should lead the friendly planets and Mars & Saturn should make you conversant. Here, I have discussed the Mars & Saturn because these are the two planets which help in making a person successful doctor. Mars is a planet which is related to cuts and operation whereas Saturn is responsible for technique and skill. If these two planets have relationship the owner of the tenth house and the owner of the fifth house somehow also has a relationship with these two planets then a person can easily become a doctor. 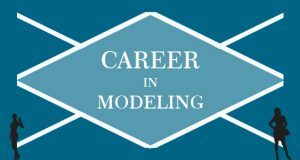 Now, I will inform you about the planetary position required to become a general physician. A person’s interest in the field of medical or to become a doctor depends upon the degree of relationship of MARS AND Saturn in his birth chart with lord ascendant. On the basis of his interest the person becomes a general physician or doctor. 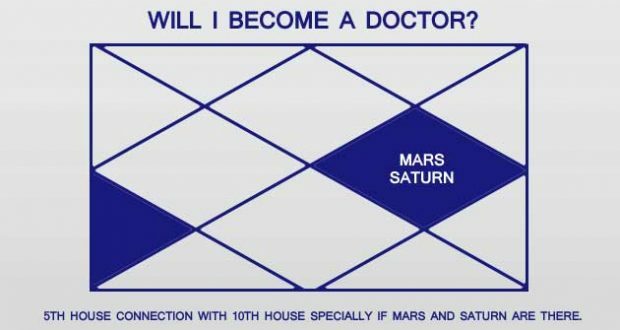 There are many kind of things cannot be explain here but the point is Mars and Saturn are mainly important planets for doctors. If these two planets are in good position not only you will be a doctor but also you will be successful & make name & fame and after all you will be working for those who need your help. The information provided above is on the basis of my experience and the reader has full right to agree or disagree with any information. Moreover, if there is any hyperbolic at my part then I request you to pardon me. I would also love to know your feedback and comments.